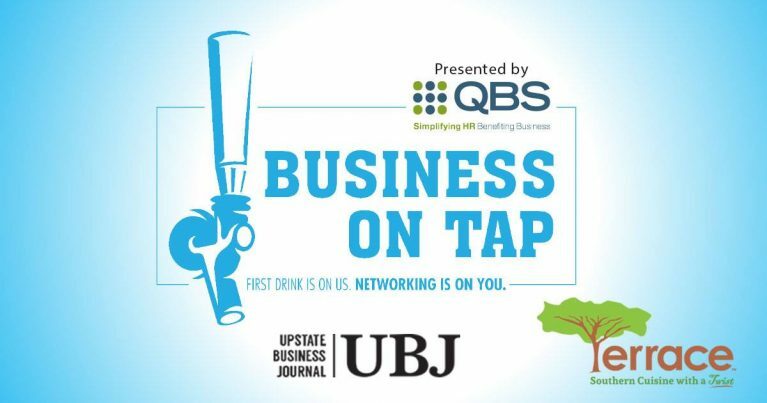 Travelers Rest, S.C., January 17, 2017—Quality Business Solutions, Inc. (QBS) recently announced that it will serve as the presenting sponsor for this year’s UBJ (Upstate Business Journal) Business on Tap event series. In its second year, UBJ and QBS will continue to welcome the Upstate business community to fun, casual networking events on Wednesday evenings at different Upstate locations including Drayton Mills in Spartanburg, 13 Stripes Brewery in Taylors and Growler Haus Village of West Greenville. Every week, 52 weeks a year, UBJ (Upstate Business Journal) offers a fresh look at business in the Upstate, told through a mixture of the news and views that are shaping one of the fastest growing regions in the country. They provide the leaders in our market current business headlines and news, as well as offer signature features designed to engage a diverse readership base. Their mission is to educate, innovate and accelerate area business growth through communication. UBJ is Community Journals publication. To learn more about UBJ, visit www.upstatebusinessjournal.com, or learn more about Community Journals by visiting www.communityjournals.com.